SigniFire is a turnkey video smoke detection solution. 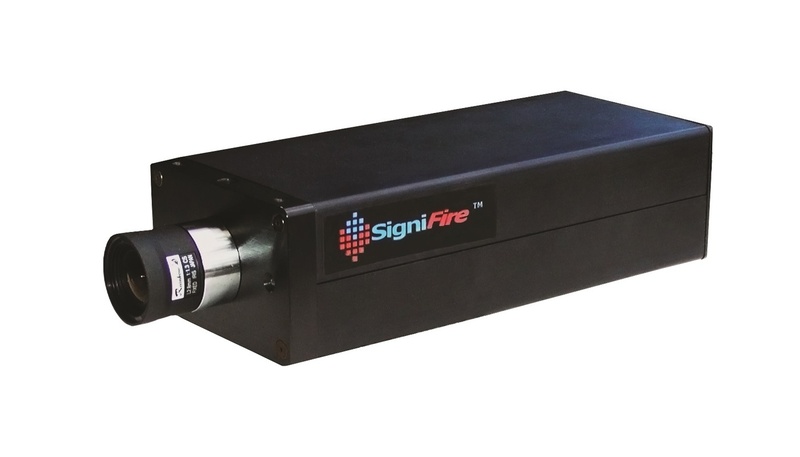 The state-of-the-art, camera-based SigniFire video smoke detection system, visually detects the presence of flame or smoke at its source, independent of airflow in the area.SigniFire represents a critical advantage for early warning fire detection, especially for challenging environments and open area venues. Constantly records video streams on to internal hard disk customizable storage space to meet application needs. Provides monitoring of live videos. Maintains an event log for all alarm conditions . Dispatches alarms and videos to remote locations. Network management interface for configuration and maintenance. Access multiple FSM-IP or FSM-8 units at a time. Integrates building, site and floor plans, as well as 3rd-party systems. Remote monitoring over the Internet. SpyderPanel is a touch-screen panel designed to provide security personnel with a simplified user interface for quick response to an emergency situation. The intuitive SpyderPanel does not require any training to review alarms, video feeds, building plans or vital site information. A part of the SigniFire family, the FSM-8 is a DVR-based solution for flame, smoke and intrusion detection, designed for use in places where analog cameras are already in place. While the result is a lower image resolution, the FSM-8 uses the same algorithms as SigniFireand is capable of detecting and alarming on a variety of events. The FSM-8 can process the video signals from up to 8 analog CCTV cameras and can be used in conjunction with the SpyderGuard and SpyderPanel software.